Decided to take a break from the harsh elements of England (Islington to be precise) and seek out inspiration, sun, sand and beats, so I simply jumped on train to Gatwick and got the first available flight to Ibiza, having 3 days, three mega closing parties was the tonic, the best trips are the ones not organised I think. 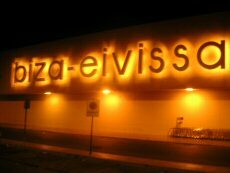 I was really lucky and got a flight to “Ibiza-eivissaa (Ibiza airport to you & me) that landed at 2am, it’s surprising who you meet when going there as I entreated the Jet Apartment at Playa Den Bossa. I heard a loud drunken Oi Lola… Things start late here and it can be harsh but with some Marco Carola pulsating out the various apartments that parted was in full swing. After being basically thrown in a side door of Amnesia I was instantly greeted with the famous sights and sounds of the worlds best club. In all my clubbing days I have never seen a dance floor that packed. What can only be described as the Amnesia herd were anxiously trying to anticipate Mr Carola’s next drop of the beat. It’s moments like this that confirm that at some stage of our lives we were all born to experience this! I have to admit that Marco Carola was special but the masses especially me were all here to see Richie Hawtin. When Hawtin made his way onto the decks the expression on my friends face was priceless (check out my facebook page) and can only be described as ‘witnessing the second coming’ … He played some sick stuff including finishing the night with a real fave of mine ‘Tears for Fears – Shout’.. After 24hrs previously being stuck in my north London flat wondering if I should or should not go.. I knew from that point I had made right decision. Space in the day time is what the club is all about, Sunset terrace, el salon and the car park with it’s army mesh net covering thousands of clubbers going all out to the deep Space groove. I purposely positioned myself in the middle of the car park and engrossed myself into listening to DJ’s such as Nic Fanciulli and Steve Lawler .. this was almost as good as life gets. After spending most of the day outside it was time to sample the other arenas. The sunset terrace was going off big time as it always does including a man dancing with a giant key (very random but this is Ibiza). I have had some of my best clubbing moments in that room Tom Novy, Jonathan Ulysses and the Space legend whom recently played at my club in London Alfredo to name just a few over the years. .
After dancing like there’s no tomorrow for nearly 20 hours it was time to crash and recharge for DC10 in a few hours. “Gracias Space and see you next year”! Feeling rough but still well up for the musical journey ahead. The unforgettable sights and sounds of DC10. “It has been too long my friend far to long!”. What a wonderful piece of the world DC10 is a place that has sun, music, outfits, balloons, tea cups and twister! We arrived just in time to gets drinks and find a quietish spot which we gave up on quickly to dance to Jamie Jones who is probably one of my favourite DJ’s of the year so far and he didn’t disappoint, so much so keep your eyes peeled & ears pricked back as I’m deffo gonna book him for my venue this or next year… Anyway back to the festivities I was standing there with a great group of good friends dancing away to some top tunes I turned to my a friend and said “I’m in heaven’ which was greeted with a grin. She didn’t say a word, which as you know can be difficult at that time of the trip….but she knew exactly what I was talking about, her face said it all. Thousands and myself partied hard till Ricardo Villalobos finished it off in style. As we all travelled back to our hotels my body was close to shutting down it has never been so punished but it was worth every second of the last two days, this experience was like no other that I have had there, it made me want to emulate the feel & energy in my venue, we all know that when you come back home no matter how many reunions you go to its hard to re-create the sun., sea and excitement.. but adding a group of people all in the same place and producing the same vibe / energy may not be the same but at my club I intend to try my damndest to give the same type of party atmosphere .. Amnesia, Space Bora Bora and DC10 thank you and see you again in 2011. This entry was posted in Club, Culture, Lola's Boutique and tagged amnesia, bora bora, circo loco, dc10, ibiza, Jonathan Ulysses, Lola's Boutique, marco corola, Nic Fanciulli, playa den bossa, Ricardo Villalobos, richie hawtin, space ibiza, steve lawler, Tom Novy. Bookmark the permalink.